Obstructive Sleep Apnea is the most well-known form of sleep apnea. People with OSA are most often little aware of this disease. Most of the times, the signs and symptoms are alarming for their entourage.Quality of life is defined as the state of well-being of individuals as a whole and their society. 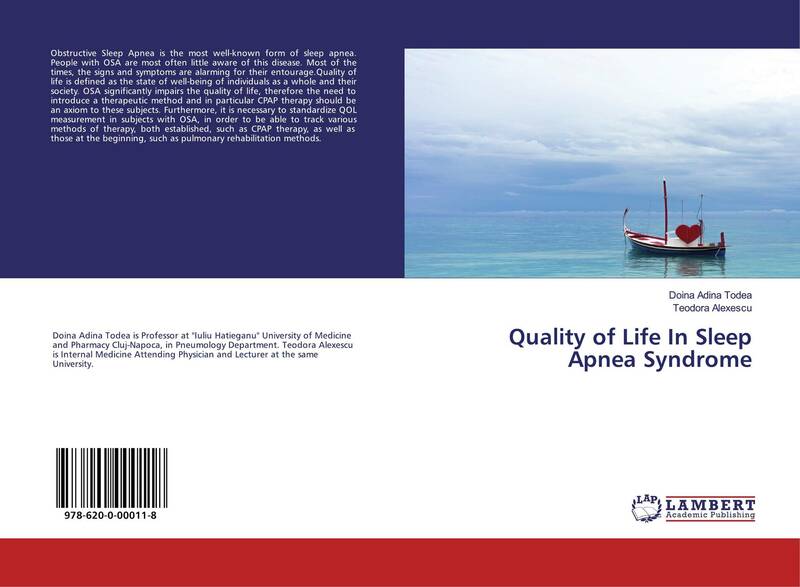 OSA significantly impairs the quality of life, therefore the need to introduce a therapeutic method and in particular CPAP therapy should be an axiom to these subjects. Furthermore, it is necessary to standardize QOL measurement in subjects with OSA, in order to be able to track various methods of therapy, both established, such as CPAP therapy, as well as those at the beginning, such as pulmonary rehabilitation methods.